It has been 10 years since two parents suffered one of the worst things that any parent can go through. Their young daughter went missing. I am, of course, talking about the parents of Madeleine McCann. 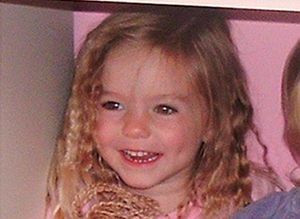 On May 3, 2007, 3-year old Madeleine disappeared while her parents were on vacation. She has not been found yet. What sometimes makes these situations worse, is when parents do not get that closure of what happened to their child. In May of 2007, Madeleine along with her parents went to Portugal for a family vacation. They were staying at Praia da Luz, a resort in the Algarve region. It was a vacation that consisted of many family members and friends. The young children, including Madeleine’s twin brothers, were safely asleep in their ground floor room, while the parents ate at a nearby restaurant. The restaurant was so close, that they were all able to go and repeatedly check on the children throughout dinner. On one of these checks, Madeleine’s mother noticed that she was missing. One newspaper has called this case the “most heavily reported missing-person case in modern history.” It has gotten countless media coverage, and nothing has been turned up. It seems like for every one thing we know about this case, there are five that we do not know. From false accusations to insane theories, there are many things about the case of Madeleine that you may not know about. I am here, on this 10-year anniversary of this missing girl, to bring you 15 things that you may not know about this case. Unfortunately, I can not answer the one common question; will we ever find out what happened to little Madeleine? 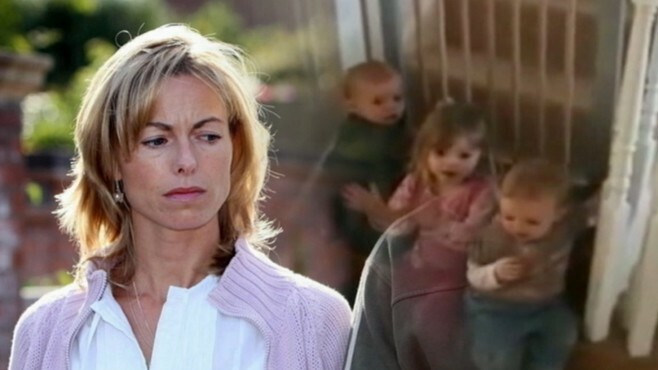 The McCann family lived in England, and had a pretty normal life. They had jobs, they did groceries, and they had neighbours just like the rest of us. Neighbours can either be your best friend, someone you go to when you need milk or sugar, or they can be your worst nightmare. Some neighbours are well intentioned, and some are just down right nosey. 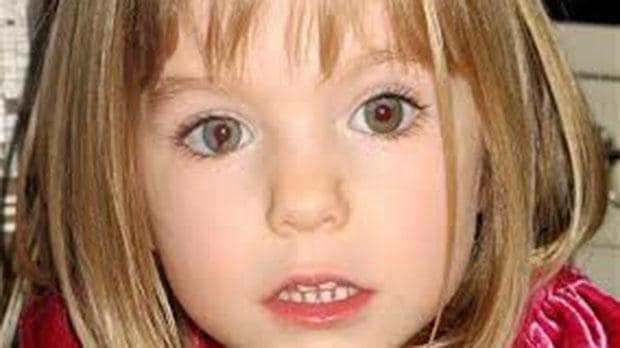 According to reports, two nights before Madeleine went missing, a neighbour stated that she heard her crying out “daddy”. She claims this went on over an hour and a half before her parents came home from a dinner around midnight. Was the little girl crying out for help, because she was being harmed in some way? Or was the neighbour making it up for her fifteen minutes of fame? Just like a lot of things in this case, we may never know! One of the things we do know is that all the children were left alone, sleeping in bed, while the families dined at a nearby restaurant. They were regularly going and checking on the children throughout the night, but one of these checks just doesn’t make sense. One friend, Matt went to check on the children at around 9:30 that night. He stated in later reports that he could not say for sure if Madeleine was in her bed at that check or not. He stated he could see the twins breathing in their cot further into the room. In order to see the twins breathing, he would have to look over the bed that Madeleine was sleeping in. It seems weird that he could make out a detail of the twins breathing with such clarity, but not if Madeleine was in her bed. Whenever there is a case of this magnitude, people’s imaginations can start to play tricks on them. Sometimes people think they see something, because they want to so bad. How do you tell if what you are seeing is real, or just what you want to see? On the night Madeleine went missing, at around 9:55 that night, a family witnessed a man carrying a small child towards a nearby beach. At the time of the sighting, the man, Martin Smith, states that at the time it did not concern him as it was normal to see children being carried at that time of night at a vacation resort. He assumed it was a father taking his tired daughter back to the resort after a fun and busy day. After news broke of Madeleine’s disappearance, he started to second guess himself. 12 Could It Have Been Her Dad? It doesn’t take long for the parents to become suspect number one in a case of a missing child. It makes sense, and it is usually cleared very quickly if it is not them. It is smart police work to always question the parents. It is better to question and be wrong, then to not question and something seriously bad happen. Going back to the family that saw a man on the beach with a child, there was speculation that the man was Gerry McCann, carrying his daughter, Madeleine. Of course, the family who saw the man, were convinced that the little girl was Madeleine after she went missing. There was then some serious question if it was the dad. Gerry had last been seen just five minutes away from the spot where the family saw the man and child. It then gets even worse for Gerry. The family was questioned in detail on what they witnessed, they were asked numerous times about what they say and they even described what the man looked like to a sketch artist. When the sketch artist was done, everyone was shocked at the resemblance to Gerry. Take a look for yourself, no one can deny the resemblance. This led everyone to believe further that the man was Gerry, one of the family members even stated that they were 80% sure that the man was Gerry in the photograph. There was no other evidence that supported this theory that Gerry was the man carrying the little girl. I can not imagine what it would feel like when you notice one of your children are missing. I can only imagine the sounds that would utter my mouth, but they would most likely be screaming for help, as I am sure a lot of mothers would be. 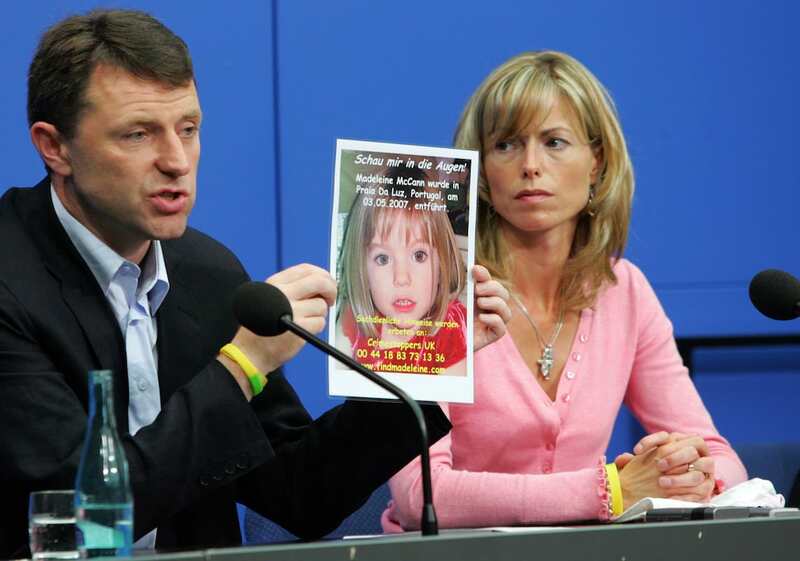 Kate McCann, was the one who discovered that her daughter was missing. She went to check on the children around 10 pm, and she was horrified to discover that Madeleine was not there. She immediately ran back to the restaurant and screamed, “THEY’VE TAKEN HER”. This is confusing for a few reasons. There are questions around how Kate immediately ‘new’ that her daughter had been taken. There was no evidence that immediately showed an abduction. At this point, it would have been safe to assume that Madeleine had wandered off when she woke up confused. One thing you do not want to do in a situation like this is lie. It is morally wrong, and makes you look very, very bad. This is exactly what the McCann’s did when they returned home from their trip without their daughter, they lied. It is to be expected that friends, neighbours and everyone will want to talk to the family, and offer their sympathy. We are all also curious by nature, so it won’t take long for people to ask what happened. The McCann’s, for some reason, thought it was best to lie in this situation. They continued to tell their friends back home that an intruder had “broken” and “smashed” the shutters to take Madeleine out of a window. This was not true, as there was no evidence of a break-in. Nothing was smashed or broken. The McCann’s spokesperson, Clarence Mitchell, later stated that this was not true. So, why did they say it? 8 What Is Going On With This family? It is amazing the amount of people who try and rally together to help find missing children. It can be a beautiful thing. The morning after Madeleine had disappeared, the family was contact by Yvonne Martin back in England. Martin was a worker for child protection services in England, and wanted to offer any and all assistance she could. Martin found herself very confused when Kate proceeded to tell her that Madeleine had been abducted by a couple. Why would she tell her this? It was literally only hours after Madeleine disappeared. There was no leads, theories or speculations yet. There was no evidence at this point that Madeleine had been abducted by anyone yet, much less a couple. While people can be incredibly helpful in finding missing children, dogs can be even better. They have extensive training and amazing noses that help them crack a lot of cases and bring home a lot of children. 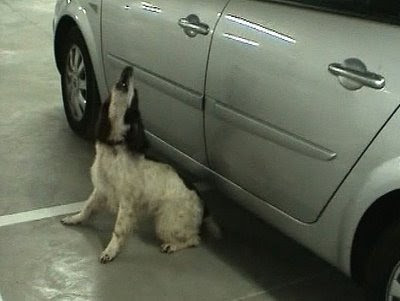 In July, 2007 about 2-months after Madeleine’s disappearance, two springer spaniel sniff dogs were sent to Portugal from England to find some sort of evidence. One dog was trained to smell for any type of human blood, while the other was trained at locating human corpses. The dogs were taken around the resort where the McCann’s were staying, but they only seemed to be interested in the actual apartment they were living in for their vacation. 6 What Did They Find? The two trained dogs showed the most interest in a couple places. They seemed to alert behind the sofa that was located in the living room, as well as under the veranda in the bedroom used by Mr. and Mrs. McCann. The dogs were not done with this case, by any means. A month after the original search, the police took the dogs to an underground parking lot. In the underground parking lot, the police had placed the rental car that the McCann’s used on their vacation to see fi the dogs would sniff it out. The dogs immediately went to the car, and the dog that was trained to alert to human corpses went immediately to the trunk. While, the blood smelling dog stayed around Kate’s clothes and Madeleine’s toys that were in the car. This did not look good. 5 Did You Know How The Lawyer Got Them Out Of Trouble? With all of this evidence, we are not sure how the parents were not questioned more thoroughly. Well, the answer is that they had a very good lawyer. When all of this harming evidence was brought to the attention of the authorities, and the lawyers, he had a plan. Upon looking at the security footage, the lawyer stated that it was clear that the dogs were intentionally led to the car. He also stated that “if” the dog did alert to the human corpse and blood on the car as well as Kate’s clothes, then it was probably because she was a doctor, and not because she murdered her daughter. He also suggested that the reason the dog alerted to a corpse in the trunk was due to some raw meat that had been in a garbage bag in the trunk. Since they did not find any actual blood to put through DNA testing, the evidence they had collected was thrown out. Gofundme is a popular means in today’s world for raising money for different causes. They may not have had gofundme back then, but they did raise a lot of money. 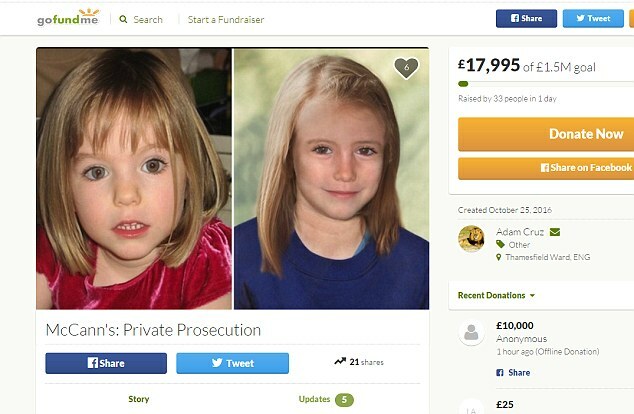 Millions of people donated money in an attempt to help the McCann’s search for their daughter. It is another popular thing that a lot of people do to show support. What a lot of people may not know, is how that money was used. The McCann’s took the money of millions of people that was meant to help them search for their daughter, and paid off their mortgage. I mean, I guess the thought was that when Madeleine was found they needed to have a home for her. It still does not seem like the ethical thing to do. Did you donate to this cause? Do you now feel cheated out of your money? It may seem obvious that when your child goes missing, or is abducted that you would want to do anything and everything in your power to help bring them home. I could not imagine turning down any request, no matter how weird or far fetched it seemed, if it meant there was even a glimmer of hope at getting my child back. The McCann’s obviously did not feel the same way. Kate refused to answer all 48 questions that the police asked her following her disappearance. If that was not enough, both Kate and Gerry refused to attend the police reconstruction of the event, which is odd as Kate was the one who discovered Madeleine was gone. What is probably the worst is that they also did not join any search for their daughter. I, would have never stopped looking. 2 Did You Know About The Stuffed Toy? All children find that one item that they love. It is usually a blanket or a stuffed animal, they take it with them everywhere and refuse to be without it. When a child goes missing, mom and dad will often clutch this toy as a way to cope. Madeleine had her ‘Cuddle Cat’ which was left on her bed the night she disappeared. Kate would never be seen without it, she would appear on the news clutching it, saying that it brought her so much comfort because it still smelled like her. It get’s weird, and this may be the thing that not a lot of people would know. Kate was told that the sniffer dogs were coming to smell the family car. Kate then put the toy through the washing machine, washing off all the comforting smells, before they arrived. She stated that it was to get the smell of suntan lotion off it, but maybe it was to erase some evidence? The last thing you may not know about this case, is that Madeleine had a birth defect on her eye. If you look closely at the photograph above, you will see the small birth defect on her right eye (your left). When Madeleine went missing, the police in Portugal told Kate and Gerry NOT to reveal this birth mark about Madeleine.